Ho ho ho, the Christmas is coming and at the same time I am happy to present you these awesome free Christmas printable pack. Christmas trees, Santa, elves, presents and deer are all waiting for your young ones to have some fun! Not feeling festive? We have a whole bunch of other fun worksheets for kids! Winter is also a great season to spent some quality time indoors and this pack surely is the thing. 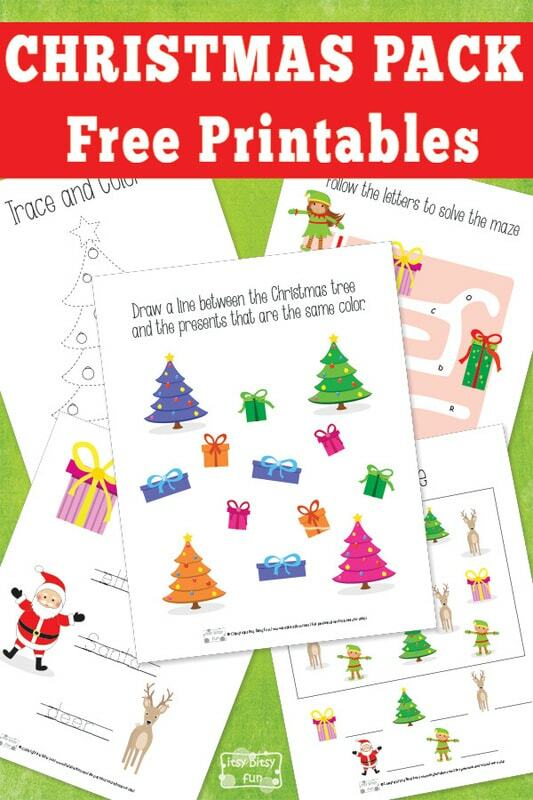 These free printables are great for kids in preschool and kindergarten. The printable has 5 pages! Start out with tracing out a beautiful Christmas tree, then color the tree and the decorations. The second pages leads you to the I Spy Game. Count how many elves, trees, Santas and present there is and write the correct number on the line. Continue to the third page and do the word tracing – for more practice do also the spelling of each word. The fourth page is a maze game. Help the cute little girl elf to find her elf friend. The game is really nice for practicing the alphabet from the letter A to H, follow the letters in the correct order and solve the maze. And on the last page kids have to draw the lines from each tree to the presents which are the same color. Enjoy these adorable printables, have a good time with your kids and don’t forget, Santa is watching. 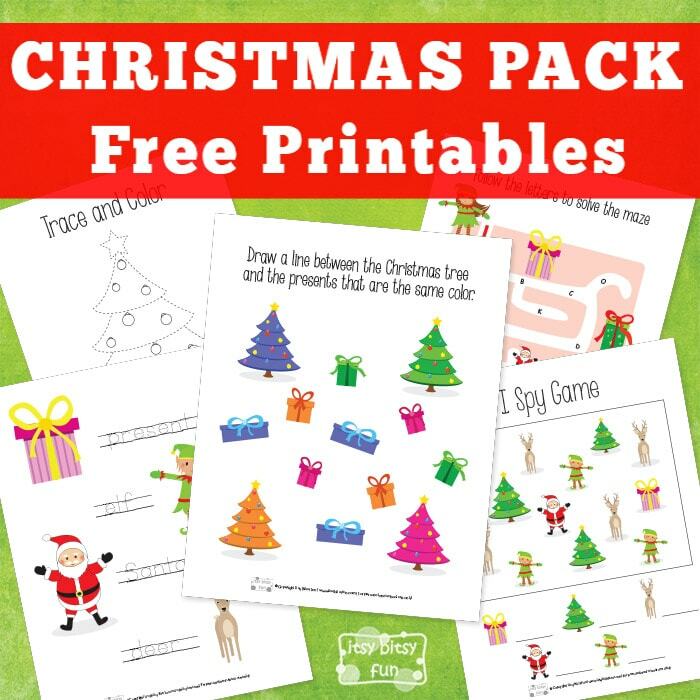 Get free printable Christmas Printable Pack here.